Making Idioms a Piece of Cake! Homepage» Fulbright ETA Monthly Highlights» Cohort 2017-2018» Making Idioms a Piece of Cake! After he finished teaching all of the mandatory aspects of the 10th grade curriculum with his co-teachers, ETA Sam Chen decided to get a little more creative with his lesson material. 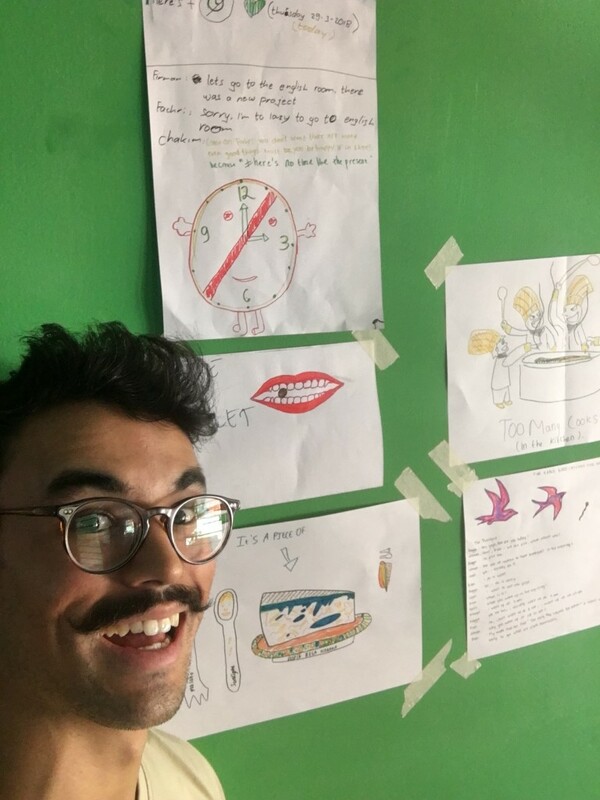 As a foreign language learner himself, Sam has always been fascinated by idiomatic expressions, and wanted to find a way to incorporate his love for idioms into his teaching. In addition, Sam wanted to find a way to add more decoration to the walls of his English classroom. So, to “kill two birds with one stone,” he consulted lesson plans written by past ETAs and made a few modifications of his own, and a new lesson was born! 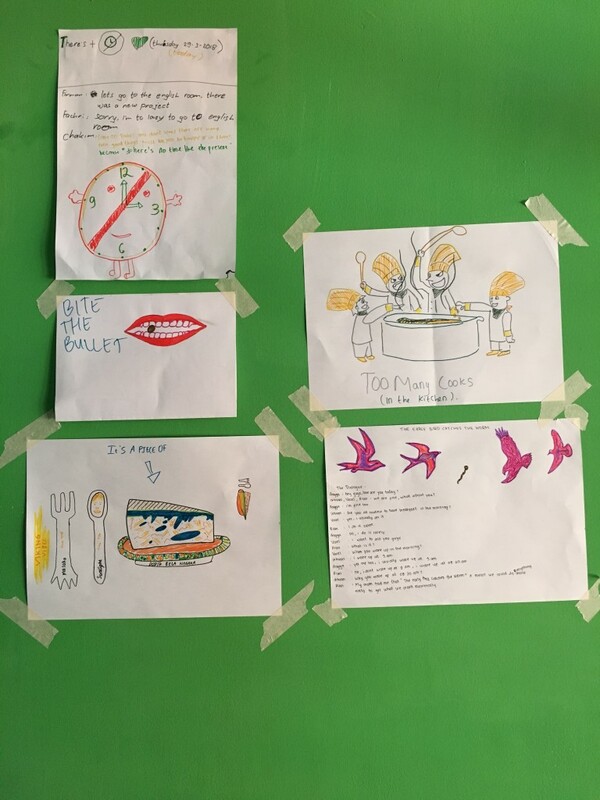 In class, the students of Sam’s 10th grade classes were tasked with drawing and acting out a series of idioms and proverbs, including “bite the bullet,” “time is money” and “when pigs fly.” The lesson allowed students to show off their artistic creativity, while also teaching them some fun English phrases (and Sam learned a few Indonesian idioms of his own, as well). Overall, Sam felt like the lesson was the best thing since sliced bread.